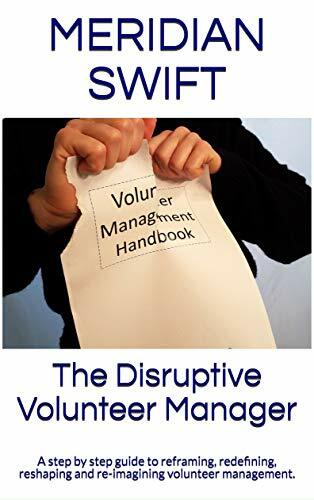 Sadly last week, Martha, a volunteer with a project management background not only just quit her volunteer assignment, she quit the organization she’s been volunteering with for the past five years. It wasn’t a decision she came to lightly. It wasn’t something she decided one night because things did not go her way. She quit because, well, let me tell you a story first. When I was in college, my roommates and I would finish up our classes and head for the local hangouts. In order to get from our off campus housing to the bus stop, we had to walk down a gangway by our apartment, then across a road where we had to navigate around the back of several small mom and pop businesses until we hit a cross street where we could walk to the front of the small businesses and catch the bus. You would think that having to walk around a few pesky buildings didn’t matter, but for some reason it did to us so one of my more daring friends decided to walk through the back door of a mom and pop restaurant and out the front, thereby shaving off a good 5 or six minutes. We all stood in the back of the building, stunned, but when we didn’t hear any shouting, we followed her lead. That day became known as the day our shortcut to the bus stop was born. The kitchen help never said anything to us, although I’ll bet money that they hated us walking through their kitchen. Today, of course, it would never be tolerated, but back then, things were, should I say much more loose. As other friends heard, they started using the restaurant as their walkway. We would nod to the staff as we breezed through their kitchen (swell of us, huh?) and wiggled around the meatloaf. Now here’s the point. Did we ever eat there, I mean, at least as a thank you for not calling the authorities on us? No, we did not. Why? Because we saw what went on in the kitchen, in the back of the restaurant. But back to Martha. She began as any volunteer, enthused, and eager to find meaningful work. 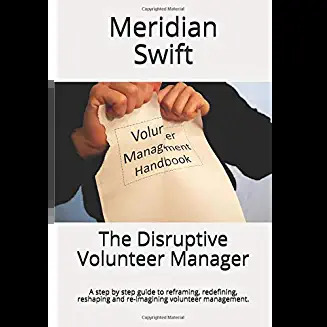 She started off small by volunteering one afternoon a week and when she retired from her career, she devoted two, then three days to her volunteering. As she increased not only her hours, she increased her involvement with programs and eventually took the lead on a project. She became as the organizational staff joked, “the unpaid employee.” Martha was fine with the joking as she loved being a part of the inner circle and after a short time, the staff began to let their guard down and speak in front of her as though she were a paid employee. Slowly, Martha started to take trips into the back of the restaurant. Volunteers are unique because not only do they serve, they are also actually clients of our organizations that are allowed to go into the back of the restaurant. If our organizations are sound, we can advertize that long-term volunteers mean our non profits have passed the transparency scrutiny. But when there’s high volunteer turnover, it may mean that the volunteers are noticing the dirty food prep area, the food left out of the refrigerator, and the glove-less hands. And we, volunteer managers can try our best to keep volunteers out in the pristine dining area, but eventually, they get a peek in the back. So let us volunteer managers continue to remind our respective administrations that official inspectors aren’t the only ones paying attention. Quitting may not always be the right decision, though it’s the easiest thing to do. To take the initiative to get involved, find out more and change the system needs a lot of courage, determination and desire to fix and improve the environment you love. If the dirty kitchen needs to be cleaned, clean it, make the management do it! Hi! Love your passion! I agree with you 100%, we can all (even we volunteer managers) become complacent and sloppy and we can always improve. Our volunteers bring fresh perspective and enthusiasm, let’s feed off of that, not throw it in the trash. Thanks! A great story Meridian. None of us is perfect; organisations/businesses even less so. The least we can do is give space for volunteers to tell us what is queering the organisation’s pitch, and then to do something about it, the poor ‘customer relations’ or whatever. And if the volunteer walks away I sure as heck want to know why, and would be having a conversation with them or doing an exit interview.